The most direct route to imaginative insight lies primarily in understanding how genuinely creative people develop their big ideas. Focusing on the lives of contemporary writers, musicians and artists, this course examines the elements of the creative process. Artists are typically outsiders, marked by the extent of their suffering, resilience and love for the work they do. Using Tom Waits, J.K. Rowling, the Fagen and Becker duo, Bob Dylan, Neil Young, Talk Talk, Bill Evans and Ernest Hemingway as case studies, these two lectures will consider the role of artistic grit as well as the effect of suffering (including instability and pathology) on art and creativity. Priilaid, D. 2018. Creativity Explained: From Music and Art to Innovation in Business. Cape Town: Peter Flack Productions. 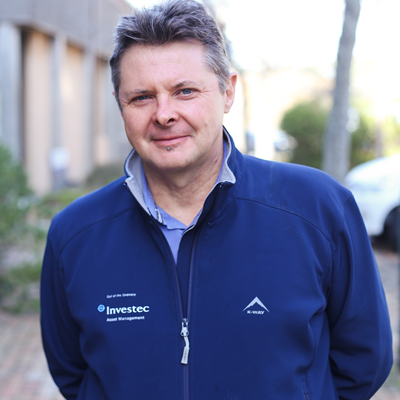 David Priilaid, is Associate Professor in the School of Management Studies and convener of the Postgraduate Diploma in Entrepreneurship, UCT. He is the author of Creativity Explained – from Music and Art to Innovation in Business. Priilaid has a PhD in non-linear econometrics and publishes mostly in the field of wine and economic psychology, though some of his poetry has appeared in print. He was a resident DJ on UCT’s campus radio from 1987 to 1990, and his formative experience in the arts provided fertile ground for the genesis of this book.